While watching Bridge of Spies, I was reminded of the very first page of Jan Herman’s biography of William Wyler, A Talent for Trouble, in which Herman recounts a young Steven Spielberg paying an unannounced visit to Wyler’s beach house and immediately being invited in to talk movies. If Spielberg’s last two films, War Horse and Lincoln, were touched by John Ford’s influence, Bridge of Spies is very reminiscent of Wyler. It is long, a bit stodgy, and full of dialogue-driven intensity. It does not hesitate to summon up the dark side of human nature, but ultimately revels in the best of humanity, specifically the best of American humanity (as in Wyler’s The Best Years of Our Lives). This can be a bit hokey, but in this clamorous election year of 2016, the true story of lawyer/negotiator James Donovan and how his dedication to doing the right thing won out over a Cold War atmosphere of terror and distrust is a civics lesson worth remembering. 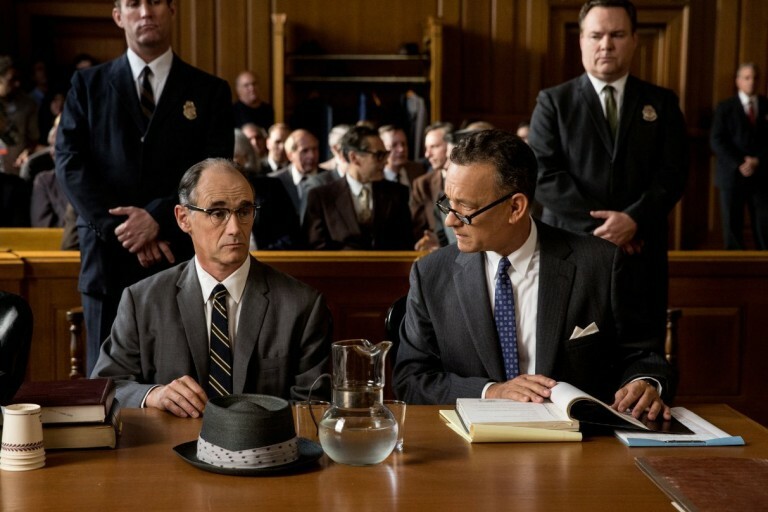 “Lesson” is a good word to describe Bridge of Spies because the majority of the screenplay by Matt Charnan, who first pitched the story, and Ethan and Joel Coen, who revised the film in between Charnan’s first and final drafts, consists mainly of talky scene after talky scene in which Donovan’s dedication to principles comes up against scheming, realpolitik, and fervent nationalism on the parts of both the USA and the Communist bloc. 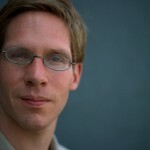 Charnan and the Coens (whose touch can be detected in some pleasantly eccentric details such as repeated dialogue, quirky characters, and scenes such as the conversation about people getting hit by cars that introduces us to Donovan) are so devoted to this theme that they let multiple subplots drift away, reduce characters to ciphers, and rely on some of the clumsiest explanatory titles I have ever seen. The result would have been mediocre if not for Spielberg, who again reveals why he is an immortal of the cinema. Spielberg’s control of the mise-en-scene and eye for appropriate but memorable visuals dominates the 140-minute running time and keeps it eminently watchable. The opening sequence of Soviet spy Rudolf Abel being followed by the FBI through a series of feints that keep throwing the viewer off, the intercutting of Donovan’s speech defending Abel before the Supreme Court with Francis Gary Powers’s U2 plane being shot down (one of the most striking moments of Spielberg’s career), and a long scene of the Berlin Wall’s construction are moments of immaculate technical precision and emotional effect that only masters are capable of creating. This is also Spielberg’s fourth film with Tom Hanks, who plays Donovan with the same combination of gravitas and charm used by two of Wyler’s finest leading men, Henry Fonda and Gregory Peck. Hanks, like Spielberg, reminds us of his staying power: even with middle age clearly set in, his unpretentious appeal has not diminished one iota, and he is ably supported by good character actors (Amy Ryan, Sebastian Koch), worthy young players who might become names (Austin Stovell, Eve Hewson) and the film’s trump card. The great Mark Rylance plays Abel with a bemused, philosophical, and strangely optimistic air that reminds us our “enemies” are all too human. Rylance’s last scene, standing alongside Hanks on the titular bridge, is a tear-inducing emotional payoff that cements Bridge of Spies in my memory and makes me excited for Spielberg’s next projects, at least one of which will also boast Rylance, that will return him to the fantastic milieu of so many excellent earlier films. Bridge of Spies is not Spielberg at his best; it does not achieve the greatness of Jaws, Raiders, and Schindler. But Spielberg’s dedication and faith in the story and its themes make it a good one—at least good enough for the Academy. Jazz and More: What Happened, Miss Simone? Netflix’s What Happened, Miss Simone?, directed by veteran documentarian Liz Garbus, is an admirable but not groundbreaking film. Nina Simone was one of jazz’s most singular talents and her accomplishments as a singer and civil rights activist were certainly dramatic, but the biography follows what has become a standard-issue formula for the lives of musicians—a rise from adversity, great success, interaction with history, a dramatic fall (domestic abuse, self-imposed exile as her bipolar disorder affected her), and a comeback that reaffirmed the respect owed to her. Especially compared to the nightmarish arc of fellow nominee Amy, What Happened, Miss Simone? does not stand out as an exemplary film. It still should be watched for the magnetic footage of Simone live, and we owe Garbus for her skill in choosing and compiling these exemplary clips. Simone’s classically-trained piano styling gives her protest and blues songs a feeling no one else could have added, and her distinctive voice makes all of her signature numbers ring with sincerity and soulful connection, from “Mississippi Goddam” to “To Be Young, Gifted, and Black” to “My Baby Just Cares For Me,” and it ultimately reminds us who are not as familiar with Simone what a treasure American music had in her. Back in May, Travis gave Ex Machina a mixed review. I saw it two days after the Academy’s nominations announcement and was impressed by the qualities that garnered it spots in two categories: the pristine visual effects made on a $15 million budget and the screenplay by Alex Garland that was basically the greatest Twilight Zone episode never made. But there is a third category that Ex Machina may influence, which made me think a bit more about how the Oscars work. 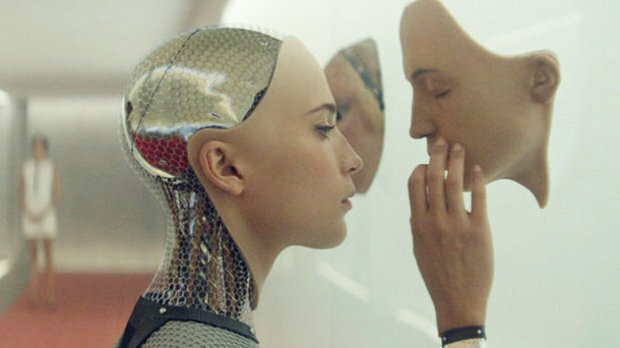 Alicia Vikander has the least screen time among the three leads, but her performance as Ava, the artificial intelligence, makes Ex Machina even as Oscar Isaac tries to steal the show. Ava would be such an easy character to play as a cartoon, but Vikander brings out every bit of humanity in her AI with subtle facial quirks and a deliberate manner of speaking, so by the unpredictable, wondrous end the viewer understands her motivations and decisions to the fullest. Vikander received her Best Supporting Actress nomination not for this film but for The Danish Girl, in which she is less good…but in this situation that’s like saying Please Please Me is worse than Revolver. Gerda Wegener’s conflicting motivations make her a figure as difficult to portray as Ava and Vikander similarly nails that role. At this point, according to David Poland’s Gurus o’ Gold tabulation, Vikander is inching ahead as favorite, and my feeling is that the cumulative effect of both these performances on voters will push her to an Academy Award. This is not an unusual occurrence. Jessica Lange won her first Oscar in 1982 as Best Supporting Actress, and while she was very good in Tootsie, the common rationale expressed at the time was the award was equally for her acclaimed starring turn in Frances, work that had no chance of winning in the year of Meryl Streep and Sophie’s Choice. Moreover, double nominations, as happened to Vikander at the Golden Globes, often mean awards failure: Sigourney Weaver in 1988 and Julianne Moore in 2002 both struck out despite countless plaudits. The Academy is a mystifying body in all aspects related to how it thinks and operates, but this when it rewards great work, and Alicia Vikander winning will be such a worthwhile reward, even if those who ostensibly reward her for playing the wife of a transgender icon might be thinking of her all-too-human robot. Pictures from teaser-trailer.com, Chocolate Films, and Screenrant. Bridge of Spies will be released on DVD February 2nd. Ex Machina and What Happened, Miss Simone? are available for renting and streaming.